sounds like you completely discount all the black people who are out there fighting the good fight. Lets see the list I dont know everything ! I do know that , voting rights, affirmative action, legal aid funds and union rights are being dismantled! if you know anyone helping with this let me know and I will suport them! Whites set the course of our destruction when the very first boat anchor dropped in the Western Hemisphere in the early 1600's. Whites furthered the course of our destruction when physical lynching through pain and psychological lunching through fear became the law of the land in the mid 1800's. The first legally enacted and recorded Civil Rights Act which actually set the course of our regression instead of the promised progression came to be in the early 1960's. Private business backed violent murderous union busting set the course for the unrecoverable destruction of hard fought gains in our job protection and improved working conditions and fair unbiased seniority in the mid 1930's. Some historians place the actual timeline beginning in the late 1700's. Our existing leadership cannot carry the torch alone. It may or may not be apathy, fear or it's just a me and mine mindset alone . Too many of our "REAL" leaders are sick and tired of expecting us as a cohesive race to take that one critical life changing step up to the plate with them instead of our race taking those two quick steps back when the call to arms is sounded. Being the unwitting victim of that ploy time and time again would give even the staunchest Black leader pause. Well right or wrong that's the way I see it leastways. Thank you brother but I am trying to follow you in the context , fo the history of Black Leadership , and human psychology! When a people are in a slave mentality state, history has shown that Cultural Revolutions bring them back to ao state of liberation mindset! 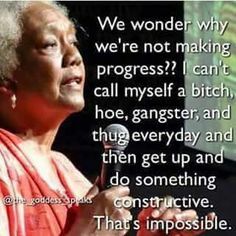 Garvey proved that 100 years ago when he , withou technlogy , or media , and with the hep of only 2 millionaires , created a Cultural Revolution that , healed millions of house negroes an assimilationists , from that Cultural Virus , to become Black Nationalists and Pan Africanists! 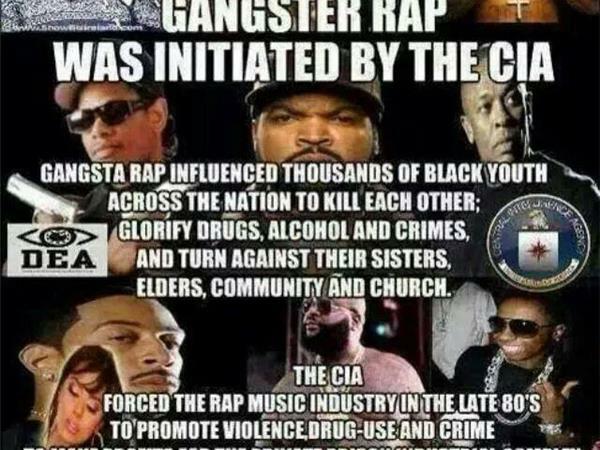 If you note from the 60s up until the 80s , Black Nationalism was put into effect throughout the nation in all the major cities by various Black organizations and ad hoc committees! Black Savings and loans banks, co-op supermarkets, the prucahsing of city tenaments and restoring them into low income housing , Cultural Centers , Freedom Schools and Black private schools, all ere vehemently attacked by COINTELPRO, and by the late 80s early 90s, a new Cultural Virus was inflicted upon the Black community , the way they gave smallpox blankets to the Native Americans , and since that time no one and no group has waged a Cultural Revolution to be the antivirus to that! if you know anyone helping with this let me know and I will support them! I agree Ndugu. Cartoon characters and Trix are for kids. As of late the collective has been lethargically barren for the better or worst part of a decade or two or three. This is the best I can come up with at the moment. The New Black Panther Party. 36K likes. THE OFFICIAL NEW BLACK PANTHER PARTY FACEBOOK PAGE. WE ARE THE PEOPLE'S PARTY ! ALL POWER TO THE PEOPLE ! BLACK POWER ! Directed by Marco Williams. With David McAlister, Divine Allan, Elaine Brown, Eddie S. Glaude. Let our history not be repeated in vain. The New Black Panther Party is among the groups that have pledged to take advantage of Ohio's open-carry firearm laws prior to the Republican National Convention next week in Cleveland, according to a new report.